On 5th May 1941, Very Rev. 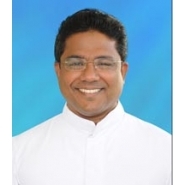 Dr. Jose Kaimlett was born as a gift to Mr. Kuriakose and Ms. Anna of the Kaimlett family, at Palakattumala, a scenic portion of the Diocese of Palai, Kerala. Growing in wisdom and grace, it was from St. Francis High School, Marangattupally that Fr. Kaimlett completed his matriculation studies in 1955. The arena of education, from family, school and locality witnessed and nurtured the man’s motives and qualities. 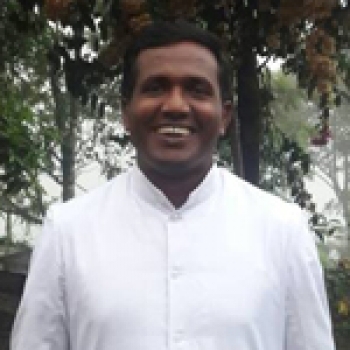 God’s will did not have a doubt in meeting the young man, as the future went back in time and space, to welcome the first steps of young Kaimlett as a seminarian, joining the Diocese of Palai. His missionary call lying deep within motivated him to join the Missionary Diocese of Vijayawada in 1957. Having completed his priestly-erudite requirements from Sacred Heart Seminary, Poonamallee, in the then Madras, he was ordained on 18th April 1966. And that was the inception of the Man-the Herald of Good News. As a young priest, in 1970, Fr. 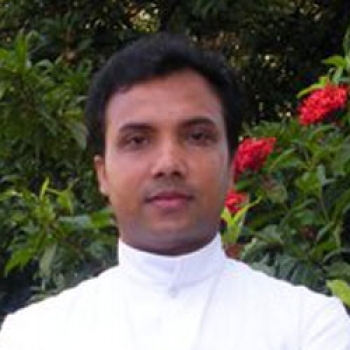 Jose took up his first of the major missions, setting up a mission centre at Akkiveedu, which became an independent parish in the following year, with Father himself as the first Parish Priest. There was no looking then on. The person who would navigate many a difficult missions in India and overseas for the coming decades never had to look back, as he knew well in whom he had put his trust. As a presbyter, his missionary zeal could not be contained in a particular land or culture or people or charism. His mission was in the making… the vision was growing. Fr. Kaimlett’s maneuver of doing God’s will extended from learning to teaching, from works of mercy to administration and from healthcare to deeds of devotion. Rev. Fr. 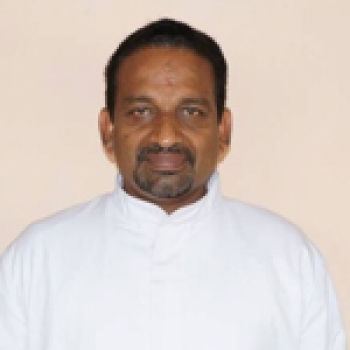 Jose chaired the seat of Headmaster and Correspondent of St. Ambrose School, Nidadavole and the office of the Administrator of the bifurcated Diocese of Eluru from Vijayawada. His presence there was part of God’s great plan, as it was in the newly erected Diocese, he would bring his vision to concretization. And that happened in 1984, as under the inspiration of the Holy Spirit Fr. 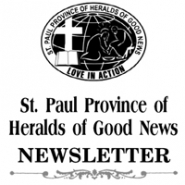 Jose founded the Missionary Society of Heralds of Good News. Meanwhile, he helped the new Bishop Most Rev. John Mulagada in paving the first stones of the fresh Diocese. The Eternal city, Rome added to Fr. Jose’s great rapport as a learner and an educator in awarding him his Doctorate in Canon Law in 1981. In taking up his mission in educating the poor masses, Rev. Dr. Jose Kaimlett erected around 28 schools in India and Africa. Attached hostels of these institutes were a sign of Rev. Dr. Jose’s trademark charity for the marginalized of the population. An avid reader himself, Rev. Dr. Jose put his thoughts into black and white on various prints. The repertoire today covers Wisdom of the Ages (1995), Tonic for the Spirit, 2 Vols. (2009-10), and the Italian tongue of the latter published in Rome as Multivitaminico per lo Spirito. His latest work of collection came out in 2011 under the title Insights. The genius wisdom of the vast years of his missionary experience is seen through the lines in every single reading. Rev. Dr. Kaimlett’s thoughts were not limited to media. Rather his life became inspirational pages for many a souls as they witnessed his charity in erecting number of hospitals, rehabilitation and care centers for various patients, including those stung by leprosy, cancer and other ailments. 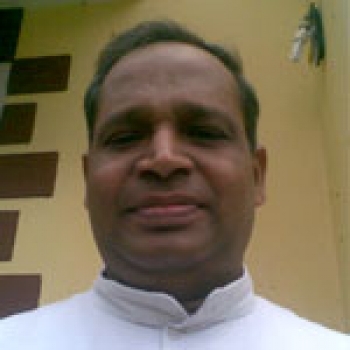 Being a devoted priest, Dr. Jose became instrument in erecting many churches and chapels in India and abroad, the Shrine of Mother Mary at Nirmalgiri, Andhra Pradesh being the most famous today. The Shrine today plays solace to thousands of believers who throng to the ever compassionate Mother of God. Heralds of Good News today has grown to the expectations of Rev. Dr. Jose Kaimlett, as his sole dream in erecting the Congregation was for Evangelization of the Peoples. Every single milestone in the growth of the Society and its Provinces owe greatly to the single minded devotion of Rev. Dr. Jose Kaimlett. His challenging aura makes many inspired to help his vision of Heralding the Good News through dedicated, saintly, hardworking and zealous missionaries. 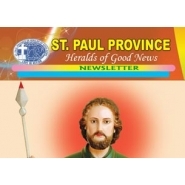 St. Paul Province remains ever thankful to Rev. Dr. Jose Kaimlett for his being, his devotion to the mission, the same which inspires every member to go the extra mile for Christ. Today, Rev. 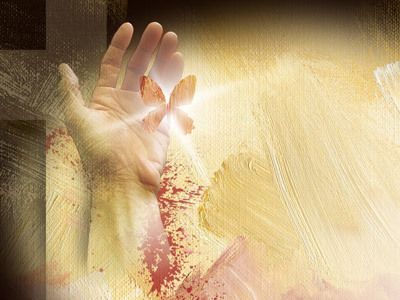 Dr. Jose Kaimlett lives his most fulfilled life in recognizing his continuous mission and in dedicating his whole life in pursuit of the same. As he completes his 50 years at the vineyard of the Lord, tenting many classes of sheep, the St. Paul Province, with all its members, remember, pray for and congratulate Rev. Dr. Jose Kaimlett as we look forward to the future of our mission with renewed zeal and fervor.